Meet the leaders in the Customer Experience discipline who have joined with CX University to help steer CXU in the direction of excellence in professional development and training. Each board member influences their sphere of higher education, corporate industry or consultancy. Collectively, the Board of Excellence specializes in strategic planning, management, leadership, and development. Explore the Board of Excellence profiles below or find them on social media. Rick Anthony is managing director of THEANTHONYGROUPinc, a full service management consulting firm specializing in business advisory services, organization effectiveness and performance improvement. 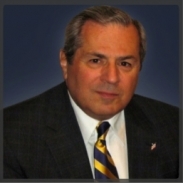 He has over 35 years of experience as a manager and counselor to senior management. Rick Anthony is managing director of THEANTHONYGROUPinc, a full service management consulting firm specializing in business advisory services, organization effectiveness and performance improvement. 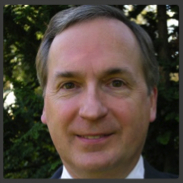 He has over 35 years of experience as a manager and counselor to senior management. He is an accomplished speaker on managing intellectual capital to accomplish business objectives. He has extensive consulting experience with clients in the private, public and not-for-profit sectors. Rick’s book, Organizations,People & Effective Communication, is available on Amazon.com. Rick began his career as a teacher and as a creative writer in advertising and public relations. 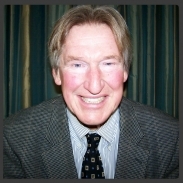 Prior to THEANTHONYGROUPinc, he had been Chairman and CEO of the Alexander Consulting Group’s U.S. consulting unit, where he established the firm’s Global Organization Effectiveness consulting practice, and Vice President and Principal of Towers Perrin (now Towers Watson), one of the world’s largest human resource management consulting firms. He is a member of the adjunct faculty at Villanova University where he teaches courses in Organizational and Leadership Communication, Goal Setting, Managing the Multigenerational Workforce and Creativity, Innovation & Entrepreneurship. He has authored chapters in three books in recent years: Aligning Pay and Results, After Sixty: Marketing toBaby Boomers Reaching Their Big Transition Years and Geeks, Geezers and Googlization. He is an accredited member of the Public Relations Society of America; a founding member of the New Product Development Consortium, Inc., New York; co-founder and director of iGrandparents.com, an internet company dedicated to enriching the lives of the nation’s 73 million grandparents and their grandchildren; founder of The Entrepreneurs Network, a group of successful business people focused on starting, buying or turning around companies. He is a member of the Board of Directors of Radnor Studio 21 and hosts two cable television talk shows, The Entrepreneurs Network and 30 Minutes with Rick Anthony. He recently launched an internet radio program titled The Entrepreneurs Network Radio. Advisory board memberships include GRAND Media, publisher of GRAND Magazine; JobsOver50.com; Omni 2000, an entertainment production company; Villanova University’s HRD graduate program. He is an emeritus member of the board of Murex Investments, a social venture capital fund, and the Walnut Street Theatre, the oldest continuously operating theater in the western hemisphere. He is also a past member the President’s Council of Immaculata University. He has also served on the Board of Trustees of the Presbyterian Medical Center, the Personnel Committee of Pennsylvania Hospital, the Board of Trustees for the Lay Employees Pension Plan Trust of the Catholic Archdiocese of Philadelphia, and the Board of Trustees of St. Francis Country House. He recently served as Executive Director of the Delaware County Community Foundation. He is the recipient of the Villanova University College of Liberal Arts and Sciences 2004 Alumni Medallion. He received an AB from Villanova University, did graduate study at St. Joseph’s University and Temple University, and completed a Harvard Management Program. Janet Biedron is the CEO/Administrator at LifeCare Hospitals in Chester County, PA. Previously, she was VP of Patient Experience Practice at CX University, where she was instrumental in the content development and design of CXU’s Online Courses in PX. 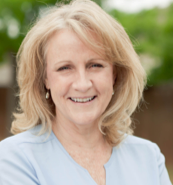 She has also served as CEO to Kindred Hospitals of New Jersey- Rahway, Kindred Hospital of Sacramento ,and CEO of Vibra Hospital of Sacramento for over 12 years. She is a seasoned successful senior healthcare executive with over 40 years of experience in the industry. She has worked in both the nonprofit and for profit arenas with various roles that include Critical Care, Emergency Department, Patient Access and facilitator for Service Excellence in 7 Long Term Acute Care Hospitals (LTACH). Her pioneering work in redesigning hospital front end processes resulted in greater entry efficiencies that created positive family and patient experiences. She is a published author and holds a BSN from the College of New Jersey and an MSN and MBA from DeSales University. Brian Dennis is an author, keynote speaker, consultant and is the former Vice President of Customer Experience for Kohl’s Department Stores. For more than 20 years, Brian has been a customer service thought innovator who has demonstrated proven excellence in his field. He is the author of 2 books on customer service with his newest title ‘If The Customer’s the Co-Pilot, You’re in The Wrong Seat’ hitting #1 on the Amazon Retail Charts. He is recognized internationally as an industry expert and is a sought out keynote speaker, panelist and key contributor on the integration of customer service, omni-channel and retail. Brian was appointed to the Board of Directors for the Fisher House of Milwaukee. The Fisher House provides a “home away from home” for military and veterans’ families to be close to a loved one during hospitalization for an illness, disease or injury. A strategic thinker, master networker, and constituency builder, Dr. Galen Godbey’s over-arching professional mission is to help individuals and organizations prepare for the ‘fast boil’ world of the global creative economy. Godbey has developed the ability to create constituency for change, and to guide organizational re-design processes that encourage the culture shifts needed in virtually all fields. A strategic thinker, master networker, and constituency builder, Dr. Galen Godbey’s over-arching professional mission is to help individuals and organizations prepare for the ‘fast boil’ world of the global creative economy. Through his work as a senior administrator, teacher, fund-raiser, project manager, lobbyist, legislative analyst, consultant, non-profit board officer, author, public speaker, and researcher in education and government, Godbey has developed the ability to create constituency for change, and to guide organizational re-design processes that encourage the culture shifts needed in virtually all fields. Galen Godbey brings energy and confidence to organizations trying to shape or re-shape themselves for the future. He helps to build innovative programs and organizations designed to capitalize on emerging and mid-term future opportunities. Galen received his Ph.d. from the University of Pennsylvania while working as a Research Fellow at the Institute for Research in Higher Education. He is in demand as a featured conference speaker, consultant, and teacher on the themes of leadership in a global organizational environment; organizational design and change strategies; human diversity and innovation; and the future of education. He is currently a Visiting Professor of Management at Moravian College, the nation’s 6th oldest institution of higher education, in Bethlehem, Pennsylvania, and is co-authoring a book on the future of leisure and work. Ramona D. Hollie-Major is currently the Director of Operations and Professional Development for the National Institute for School Leadership in Washington, DC. Dr. Hollie-Major is a result-oriented leader, educator, speaker, and author. Whether challenged to launch change management initiatives, enhance community partnerships, or increase a business presence, she has consistently delivered strong results for organizations. Ramona D. Hollie-Major is currently the Director of Operations and Professional Development for the National Institute for School Leadership in Washington, DC. Dr. Hollie-Major is a result-oriented leader, educator, speaker, and author. Whether challenged to launch change management initiatives, enhance community partnerships, or increase a business presence, she has consistently delivered strong results for organizations. She has over 15 years of extensive leadership, management and institutional experience within education and private industry working for universities and brands like Crayola, LLC. Dr. Hollie-Major has been coaching and mentoring young adults and college students for over fifteen years, with a particular interest in working with first-generation college students. She has extensive experience in college administration, admissions and advising. Dr. Hollie-Major has program development and management, and training experience. She has taught at the undergraduate and graduate level in management, marketing and educational leadership. In 2015, Dr. Hollie-Major authoredTaxi into Position: Six Principles Every Millennial Should Know Before Taking on a Leadership Role. Dr. Hollie-Major has decisive and effective leadership based on a solid academic foundation including an MBA and EdD in Educational Leadership and Social Change. Michael J. Krajsa currently serves on the Marketing and Management faculty at Penn State University, Lehigh Valley and is a partner in HALCYON Strategic Marketing Consulting. Krajsa has a diverse background in management, marketing, business strategy, development, event planning, publishing, public affairs, government, and advertising. In teaching global marketing, entrepreneurship, leadership and motivation, and strategy classes in both undergraduate and graduate programs, Krajsa believes that developing global, social-enterprise competencies and experiential learning opportunities are paramount in giving learners a competitive edge. Michael is the recipient of the 2005 Teaching Excellence, Innovation, Creativity and Community Involvement award from the Association of Collegiate Business Schools and Programs. 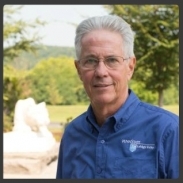 In 2015, Mike received the prestigious George W. Atherton Award for Excellence in Teaching, by Pennsylvania State University.He completed his undergraduate degree in biology at The Catholic University of America and his MRP degree from Penn State University. 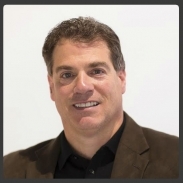 Scott McCallister is a senior executive who excels at strategic management. He combines creativity and objective analysis to define winning market positions, identify growth opportunities and develop integrated business strategies. Scott is a hands-on leader who establishes strong financial and operating discipline to redefine processes, measure progress and guide profitable delivery of products and services. In addition to his role with CX University, Scott has worked with entrepreneurial companies as an executive or as a consultant through the firm he founded, McCallister Consulting. His experience includes companies in a range of technology industries including mobile shopping applications, bio-nanotechnology instruments, DNA sequencing systems, information security consulting, telecommunications services, and direct-to-consumer products. Scott also has deep experience with cross-functional problem solving for global organizations. He was a VP for strategy consulting at Cap Gemini Ernst & Young, a partner heading internal strategy at Ernst & Young US and a VP of strategy consulting for Strategic Planning Associates, Inc., a leading international management consulting firm that pioneered the application of advanced valuation techniques to business strategy. He holds an MBA in marketing from the Wharton School at the University of Pennsylvania and a B.A. in mathematics from Dartmouth College. 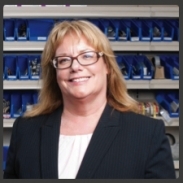 Diane has over 25 years of building and growing Customer and Employee focus. She is currently interim CEO for the Customer Experience Professionals Association. Most recently at AT&T, she led Customer Experience strategy by transforming customer and associate engagement. In 2011, she founded Customer Experience Catalysts as a consultancy and thought leader for organizations who were launching or progressing customer and employee experience to grow their brand value. She also developed and led Customer Engagement at Sysco Foods Corporation. Diane holds an M.S. in Psychology and an M.B.A. She is a Certified Customer Experience Professional (CCXP) and also holds NPS, VoC and CEM certifications.